Facebook just can’t seem to stay out of the spotlight lately. The debate over their facial recognition software seems to be the gift that keeps on giving. Ever since Facebook started automatically tagging images in an attempt to “enhance the member experience”, privacy concerns have been raised. Though Facebook has defended this policy, it failed to let their users know it was collecting facial recognition data in the terms of service, it also did not get the permission of the people getting tagged. Facial recognition (biometrics) data can be collected without any sort of awareness. It is not like using a fingerprint or retina scan to identify people. With those options, you are at least aware they are taking place and effectively, you grant permission to do so. You should at least be asked or be able to confirm if you want your identity associated with images. Facial recognition is one of the groups of data where very clear and prominent consent is required. Though the facial recognition software was turned off in Canada and the EU following privacy concerns, it is still in effect for most regions. Of course, Facebook states you can opt out of the recognition, but you would have to change your settings specifically to do so. The problem we have with that policy is, why should you have to opt out of a program you did not authorize in the first place? Another question we have is what happens to previous pictures/tags? Do those notes just go away as soon as the user opts out of them? You can bet not. Another question that needs to be answered is one of potential uses. In a summit, a group of retailers sat down with members from the Electronic Frontier Foundation (EFF) and several other privacy groups to come up with a set of voluntary rules to govern the use of facial recognition software. 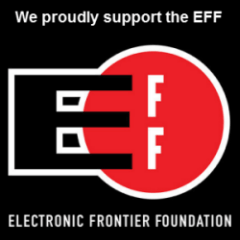 After 16 months of talks, the EFF and 8 other privacy groups backed out, because companies could not even agree on the most modest of privacy protection. Since the FBI already uses facial recognition in spite of privacy concerns, there is a danger that commercial organizations would share the data. They also have the ability to compel Facebook and others, to provide all pictures a person was tagged in, as well as any photos taken of people on the street or in their homes. All of this in the name of national security. Because some US cities are using portable biometrics devices now, these pictures can quickly be added to facial recognition databases. In other words, we can make the argument the land of the free and home of the brave (the US) isn’t quite so free anymore. Citizens living in free societies have a reasonable expectation of privacy and innocence until proven guilty. Far too often though, rights are given up, either voluntarily or involuntarily, in the interest of security. The eyes of the US government are all around, and apparently just waiting to catch you doing something wrong.